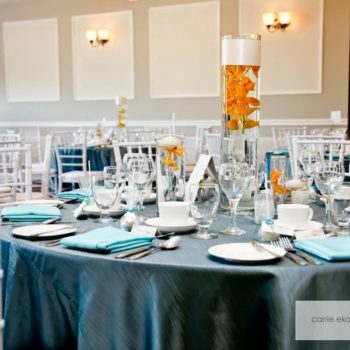 Breezy Bend Country Club is the ideal choice for your Wedding, Banquet, Reception or Special Event. 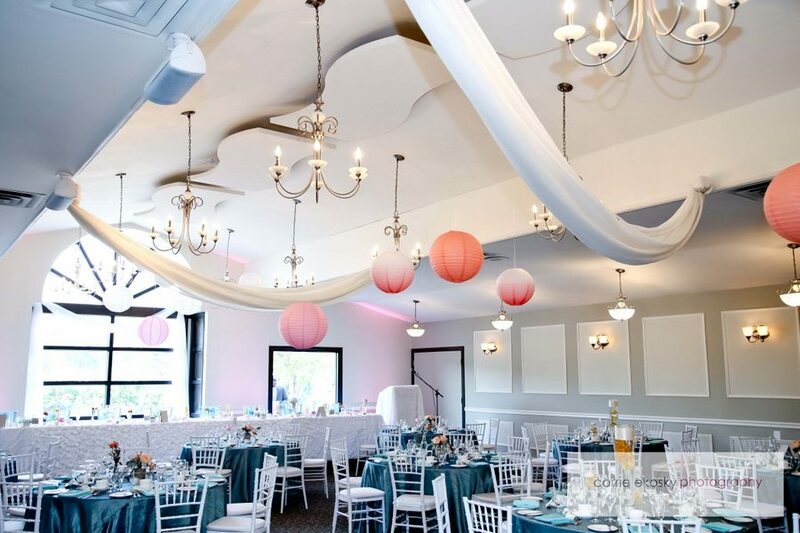 Our newly renovated ballroom creates an intimate space for up to 200 guests. Our Executive Chef takes great care and pride in both the presentation and quality of our meals. 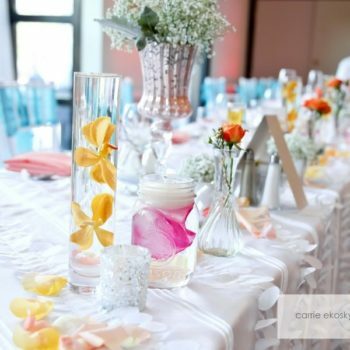 Consult with our experienced service team to create your unique wedding day. 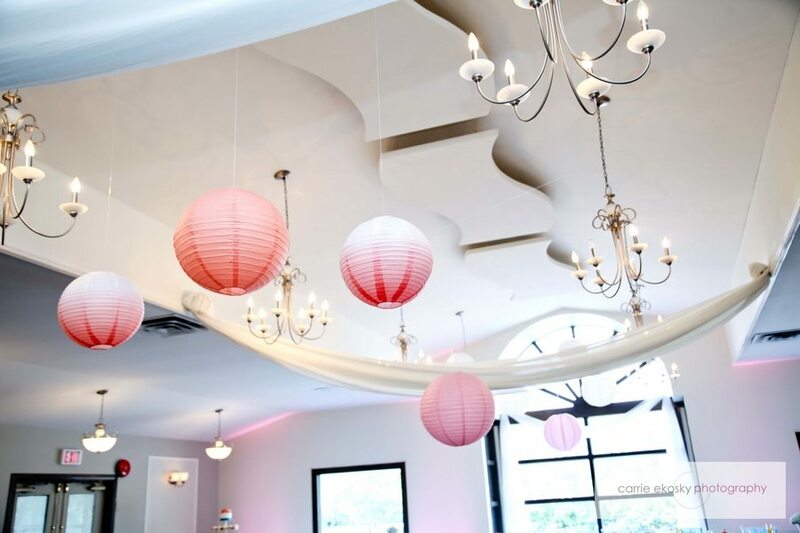 From décor to music, every detail will be orchestrated. 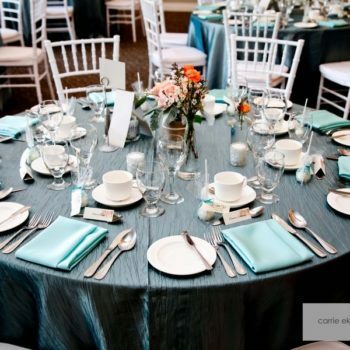 Whether you are hosting a banquet, wedding, meeting, reception or tournament, Breezy Bend is the ideal choice. 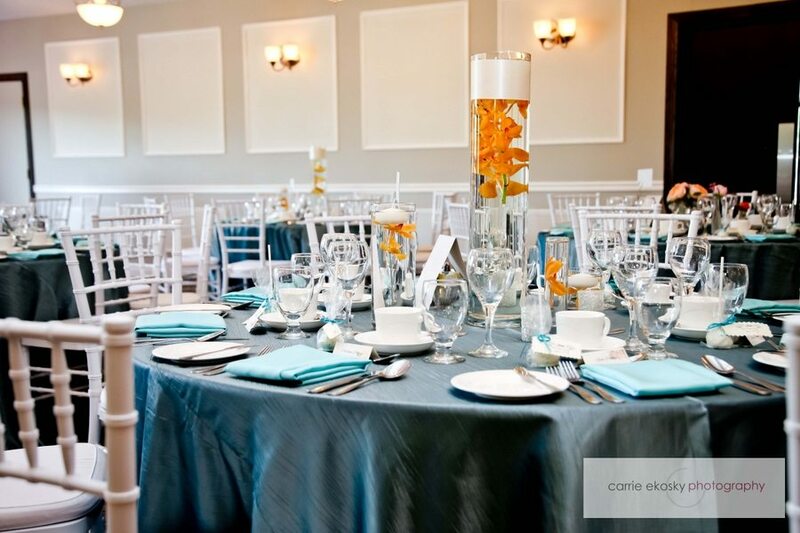 Our staff are here to provide you and your guests with an elegant, enjoyable and relaxing evening. Our Executive Chef takes great care and pride in both the presentation and quality of our meals. 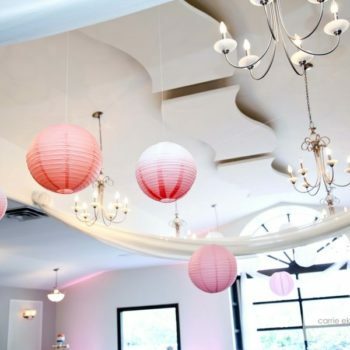 Breezy Bend will gladly create an event and menu to fit your own personal occasion and taste. 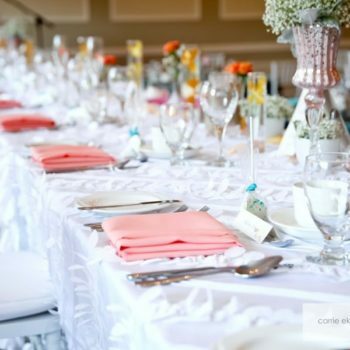 Whether small or large, Breezy Bend Country club will offer your guests exquisite service and food in a lovely country setting. For more information regarding your social day, or to request a personal tour of our facilities, please contact Jennifer or Lauren at (204) 895-7205. DO I NEED TO BE A MEMBER TO HOST A FUNCTION AT BREEZY BEND? Our banquet facilities are open to the public. DOES HOSTING A FUNCTION ALLOW ME ACCESS TO THE GOLF COURSE? The golf course is accessible to members only. DOES THE CLUB REQUIRE A DEPOSIT? Yes, the deposit required is $1000, that which is applied to the cost of your function. The deposit may be paid by credit card, cheque or cash. This deposit is non-refundable and forfeited in the event of cancellation, damage to or loss of club property or equipment. AM I ABLE TO BRING MY OWN FOOD? 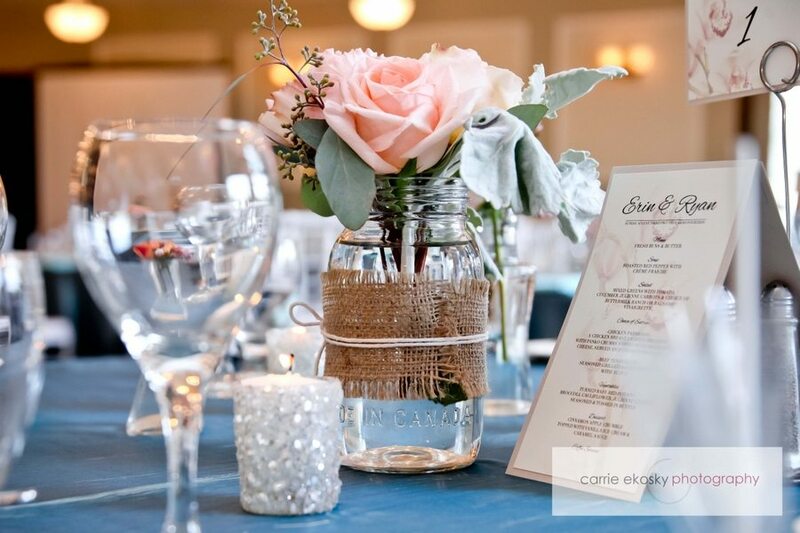 All food items must be provided by Breezy Bend Country Club with the exception of the wedding cake, however a licensed vendor must have provided the cake. DOES THE CLUB PROVIDE MUSIC SERVICES? Yes, our in house music service is supplied by Crystal Sound. We also have live music contacts if you are interested. WHAT IS THE CAPACITY OF THE ROOM? The ballroom will accommodate 200 guests. AM I ALLOWED TO HOLD THE CEREMONY AT THE CLUB? 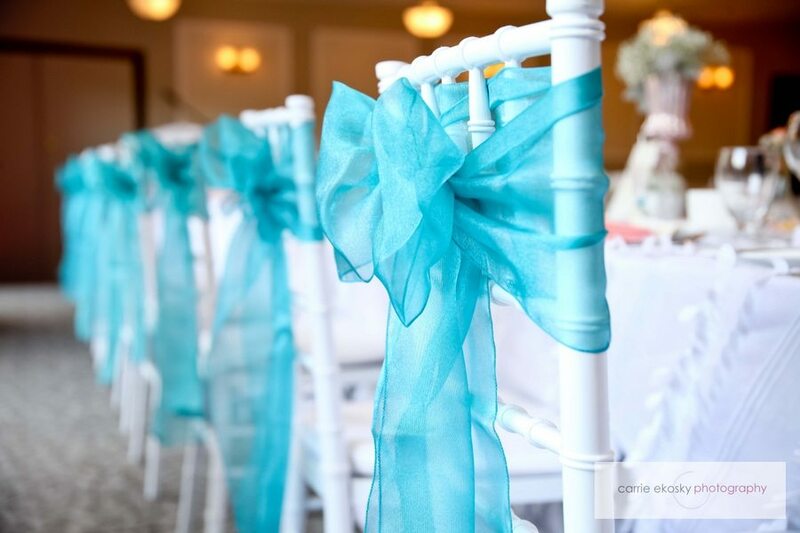 Our ceremony sites are available only to those clients who are hosting the wedding reception at Breezy Bend Country Club. There is appropriate space both indoors and out. 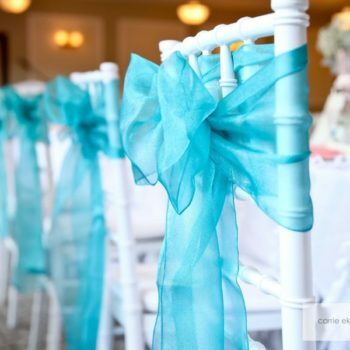 Clients do incur the cost associated with the ceremony such as sound equipment, chair rental and requested decoration. 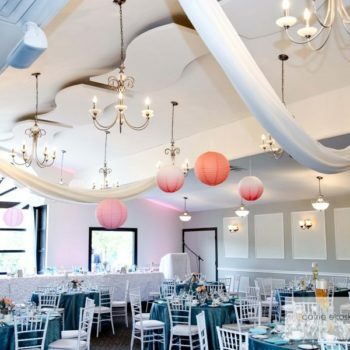 DOES THE CLUB PROVIDE ANY SETUP OR DECORATION SERVICES? 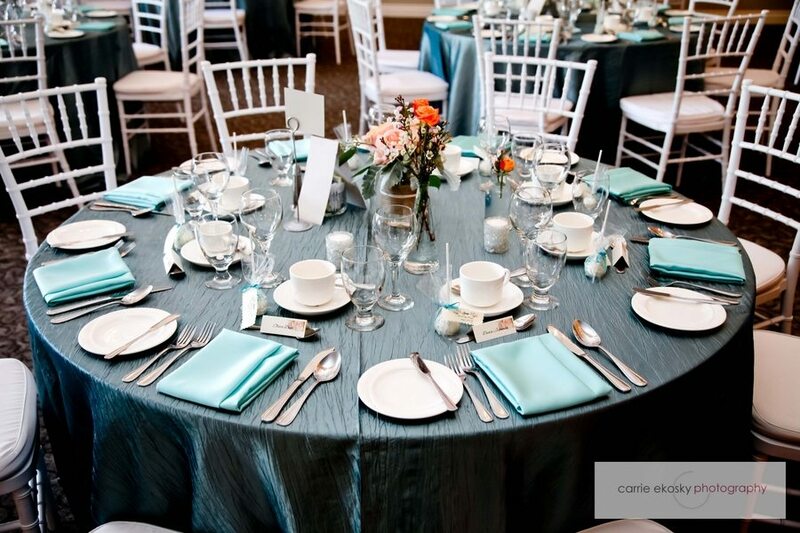 As we are a private country club, all decoration services must be booked through the club. 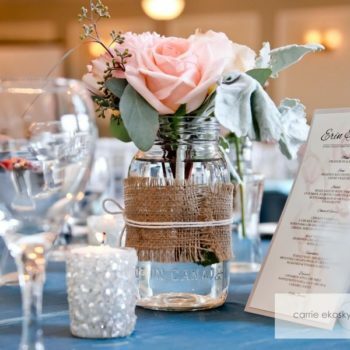 Our decorating packages are reasonably priced and are designed to your own personal taste. DO I NEED TO PAY ROOM RENT? 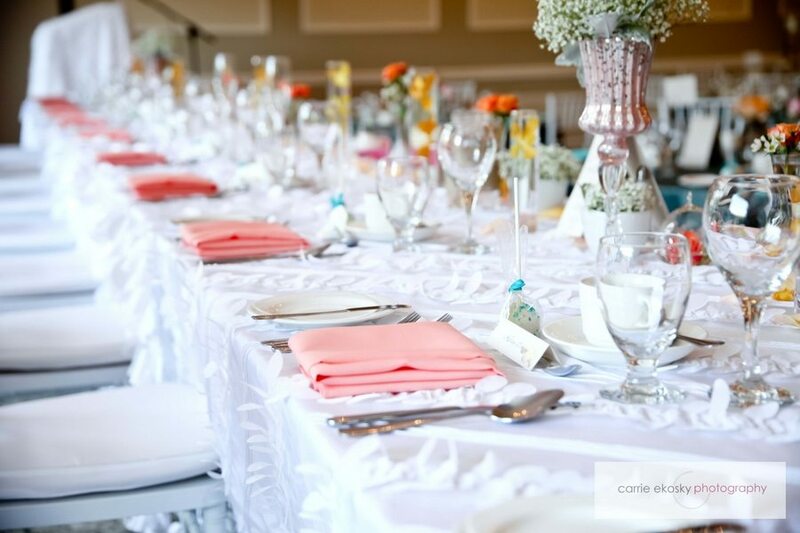 Room rents are not applied when a client is booking a wedding reception with food and beverage services. ARE WE ALLOWED TO USE THE GOLF COURSE FOR PHOTOS? Yes, however there are strict guidelines. Derek & I can not begin to thank you enough for all of your hard work and support this past year for our wedding. 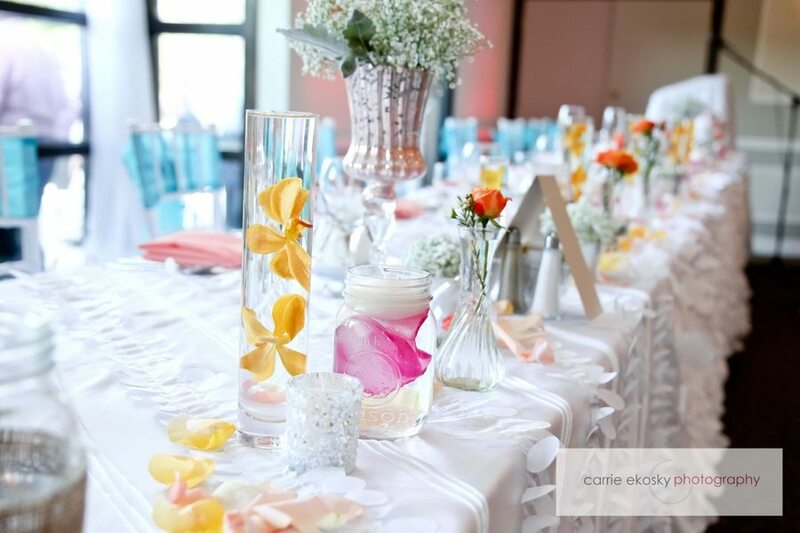 The food was amazing and the room looked so beautiful, I wouldn’t have changed a thing! You both did an amazing job and we have had so many compliments, everyone had a great time. Thanks Again! Thank you all so very much for ensuring our wedding went off without a hitch! It was an absolutely perfect day, we couldn’t have dreamt of anything better, and a huge part of that is because you all were so amazing. Jennifer, you are incredible. Everything was perfect. And Stacey, thank you so much for taking extra care of us. It was an unforgettable day and we owe so much of that to you all at Breezy Bend. On behalf of Emily and Brad, I would like to thank you for the gorgeous wedding you helped create for our family. We appreciate how every detail was so well taken care of. Please give our thanks to the chef. The dinner was so wonderful and served hot. We have had numerous compliments about the meal. Thanks again for all your help and support. Thank you so much for all the hard work you put into our wedding. You made our day so beautiful and elegant. We still are receiving compliments. Many thanks and all the best!